One of the best ways to diversify your investment portfolio is to deal with silver bullions. By buying and selling them, not only are you investing in a currency that is next best to gold, you are also preserving your wealth. This is if you invest in them correctly. In this article, we won’t go on about the specifics yet as dealing with silver warrants several guides. Instead, we will only talk about selling silver and the things that you should and shouldn’t do in the process. So why is selling silver an investment? If you buy silver at a time that it is cheap and sell it during economic turmoil, you get more than what you paid for since its value tends to go up during these times. Silver bars don’t only come as a bar, but they come at different forms and you can choose one depending on how popular and storage-friendly they are. One of the most common bars traded in the market is the bullion whose value can be determined based on the bar’s silver content. It’s also available in different forms such round and triangle, but a wise investor will go for shapes that are easy to handle and store. If your silver bar is a bullion, then yours is likely to be sold easily. If not, you can always search for other willing dealers who will buy. Remember that whatever shape or form it is, your silver still has value, so don’t give up in finding the right dealer just yet. Silver bars with fancy images and historical marks are called art bars and they often have more value than your standard silver bar. It can be considered a collectible due to its beauty and appeal. So you may want to approach dealers that are also into accepting collector items. The value of a silver bar depends on its size. Smaller bars often have a higher premium placed on them as a result of fabrication costs. So if your bar is a smaller one, know that the value output you get per troy ounce is going to be a little higher. Dealers like GoldBuyersMelbourne.com.au accepts all size and shapes of silver and gold. If you end up with a dealer as established as they are, you shouldn’t have any problem with selling your silver bullion no matter what size it is. Silver bars will have a consistent purity in them which gives them the same value per ounce but its value could change depending on which brand it was made by. 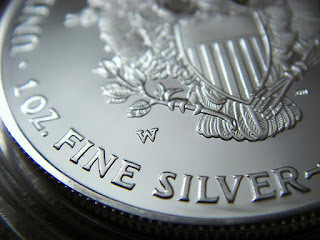 This means that the difference in a company’s reputation and manner of manufacturing can affect the value of your silver. Take the time to research each brand before you sell your silver bullion to Melbourne’s best buyers. If it’s from a highly reputable one, then there’s a chance your silver has more value beyond its ounce cost. Keep these dos and don’ts in mind and you should be able make a better decision when dealing with silver. Do you have tips you want to share with our readers? Let us know in the comments.